Oconee County will decommission its 10-inch force main sewer line running along Rocky Branch Road on its way to the Land Application Site near North Oconee High School to avoid future spills into Barber Creek. Justin Kirouac, county administrator, announced the plans at the Board of Commissioners meeting on Tuesday night. The county has devised an alternate plan to divert the flow of sewage from the Land Application Site to the Calls Creek treatment plant on the northeast of Watkinsville. Kirouac also recommended, and the Board approved, the appointment of Jody Woodall from Gwinnett County as Oconee County Public Works director, replacing Emil Beshara, who resigned late last year. The Board also approved a rezone request to create a commercial shopping center on SR 316 at Mars Hill Road and another request to modify plans for amenities lots in Wildflower Meadows subdivision off Dials Mill Road in the far west of the county. On Jan. 1, a break in a forced sewer line on Malcolm Bridge Road resulted in a major sewer spill of approximately 65,000 gallons of wastewater into Barber Creek, the county announced the next day. Water Resources Department personnel determined that a break in the sewer main was due to “pipe fatigue,” the county reported. In September of last year, the county reported a major spill on Rocky Branch Road in the same general area as the Jan. 1 spill. That September spill resulted in the release of 21,225 gallons of waste water into a tributary of Barber Creek. That spill also was due to a break in the sewer main because of “pipe fatigue,” according to a news release from the county at that time. Kirouac said he believed the Jan. 1 spill was the result of the seventh break the county has had in the Rocky Branch Road force main line since it was installed in 2000. The county could replace the line, but that would cost more than $1 million, “probably getting closer to $2 million,” Kirouac said. An alternate strategy is to install about 1,600 linear feet of 4-inch force main at the existing Mars Hill Road pump station. The cost will be less than $100,000, Kirouac estimated, with some of the work being done by the county itself. In addition to decommissioning the 10-inch force main from Mars Hill Road along Rocky Branch Road to the LAS site, the county also will decommission 8-inch force mains on Jimmy Daniell and Virgil Langford roads that feed to the Rocky Branch Road force main. Once the project is completed, sewage from the Mars Hill Road pump station will be pumped to a manhole located next to the new Fire Station No. 8 on Virgil Langford Road. From there, the sewage will flow via a gravity line to the Epps Bridge Road pump station at Epps Bridge Parkway and Parkway Boulevard. From that pump station, the sewage will travel by forced main parallel to Epps Bridge Parkway and then along Daniells Bridge Road and Government Station Road to a gravity line at Lampkin Branch that feeds to the Calls Creek plant. Kirouac did not have a time line for completion of the work. Kirouac said he was informing the Board and citizens of the decision and did not ask for any action to be taken. Woodall, whom Kirouac put forward for Public Works director, currently is the division director of construction for the Gwinnett County Department of Transportation. Woodall also has worked in Hall County, for the city of Gainesville and with the Georgia Department of Transportation, Kirouac said. The Board on Tuesday also appointed Dan Quillian, 1761 Robinhood Road, in Northwest Woods subdivision, as a citizen alternate on the Hard Labor Creek Regional Reservoir Management Board. Quillian is a banker. The Board of Commissioners appointed Mark Campbell, 1021 Stone Shoals Court, Watkinsville, to the Library Board of Trustees. The appointment was on the recommendation of the Library Board of Trustees. The Board appointed Courtney Bernardi, president of the Oconee County Chamber of Commerce, to the Innovation Corridor Joint Development Authority. The commissioners deliberated just less than 30 minutes before approving the request by Scott Boswell to rezone just less than 30 acres on SR 316 west of the Mars Hill Road intersection for development of a commercial subdivision. In 2016, the Board of Commissioners had approved a rezone request by Boswell for the acreage from A-1 (Agricultural District) to B-2 (Highway Business District) to allow for the development of his electrical supply business, Boswell Electrical and Communications Supply. Boswell wants to subdivide the nearly 30 acres to create a 19-lot subdivision, accessible off Mars Hill Road. The Planning and Code Enforcement Department staff recommended that Boswell be required to use brick, stone or stucco to cover the sides of the buildings and be prohibited from using metal siding. Boswell said that requirement would make construction in the subdivision too expensive. 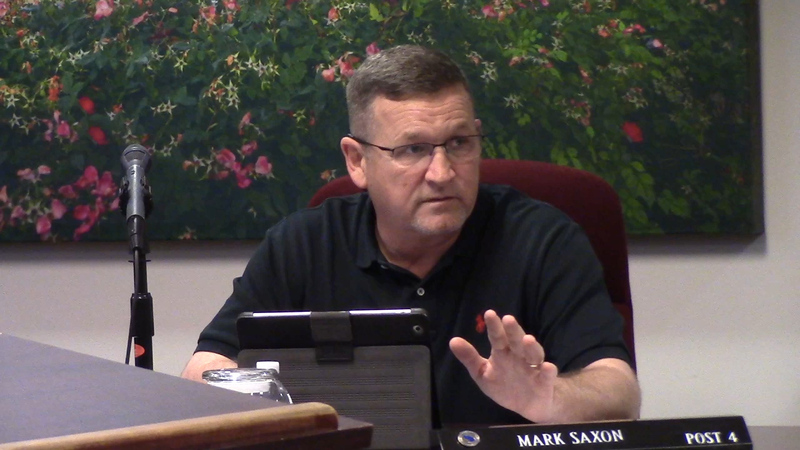 Commissioners Mark Saxon and Mark Thomas went back and forth trying to accommodate Boswell, with Commissioner William “Bubber” Wilkes offering supportive comments. In the end, the Board agreed that Boswell should be required to have non-metal siding on all four sides of the seven buildings closest to SR 316 and the remaining buildings would need to be only 25 percent brick, stone or stucco. The Board handled the request by Ellington Farms Development Partners LLC for a change in plans for the amenity lots in Wildflower Meadows more expeditiously. Three residents spoke against the plans the Board had approved back in 2006 designating two different lots within the subdivision for amenities. All agreed that the designated lot closest to Dials Mill Road should not be developed but should be allowed to stay in its inactive stage. The Board agreed and decided that a second lot in an as-yet undeveloped part of the subdivision will contain the amenities for the subdivision. At present, that second phase of the subdivision has not been final platted and is not currently accessible to the public. 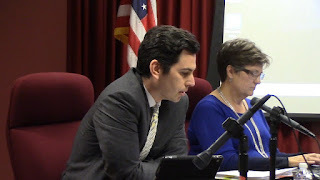 Geddings told the Board the county has collected 73 percent of its projected revenues in the first six months of the Fiscal Year and has spent 51 percent of the budgeted expenditures. Property taxes are due in the second quarter. Sales tax revenues in October, November and December of 2018 were up 14.9 percent over those same three months in 2017, he said. The county has more than $3 million in unspent and at present uncommitted Special Purpose Local Option Sales Tax funds from the 2004 referendum, Geddings reported, and about $250,000 in unspent and uncommitted 2009 SPLOSTS funds. The county has $3 million in unspent and uncommitted funds from the 2015 SPLOST, which is ongoing. I did attend the meeting, but Sarah Bell recorded the video below. Kirouac discussed the sewer line plans beginning at 2:45 in the video. The Boswell rezone hearing begins at 17:31. The Wildflower Meadows rezone begins at 44:56. Geddings made his financial report at 1:04:32.